Erna Solberg Erna Solberg speaks during a panel discussion during the Anti-Corruption Summit London 2016, at Lancaster House in central London on May 12, 2016. Norway’s prime minister has bad news for U.K. Euroskeptics who hope to copy Oslo’s relationship with the European Union if they get their way in next week’s referendum. “They won’t like it,” Erna Solberg told to POLITICO. The Conservative leader has her own bruising experience of votes on EU membership. Her center-right party was in favor of joining in a 1994 referendum that ended with 52 percent of Norwegians rejecting the bloc, after a similar result in 1972. Norway receives access to most of the bloc’s internal market through membership of the European Economic Area. That means goods, services and labor flow freely between Norway and the EU. In return, however, Norway has to adopt a large number of EU laws without having a formal say in how they are shaped. Norway also has to pay about the same amount of money into the EU budget on a per capita basis as the U.K., according to OpenEurope, a think tank that has declared itself neutral in the debate. Although the EU influences everything from the health warnings on Norwegian cigarette packs to the fact that Poles have become the biggest minority in the country, there isn’t much appetite for a third ballot on EU membership. 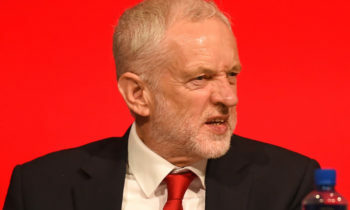 “That’s because the EU has a lot of problems on [its] own, so it is not very attractive,” the prime minister said in an interview here. Although her party is still in favor of EU membership, polling shows only about 18 percent of the population supports the idea. While some in the U.K. see Norway’s looser relationship with the EU as a potential model for a post-Brexit Britain, Oslo sees a long list of drawbacks: losing influence in Brussels, being sidelined at meetings on defense policy, and having to accept EU rules in return for retaining access to the internal market. “That type of connection is going to be difficult for Britain, because then Brussels will decide without the Brits being able to participate in the decision-making,” said Solberg. Norway also has its own reasons for wanting Britain to vote “Remain” in its June 23 referendum on EU membership. Oslo has long relied on London’s free-market zeal to keep the EU’s interventionist instincts in check. “It matters to us that we have member states at the table that are market-oriented, focused on less regulation … and the Brits are definitely in that camp,” Vidar Helgesen, Norway’s former EU affairs minister and current climate minister, said in an interview. 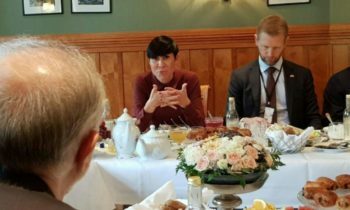 Norwegian officials often attend expert-level group meetings where European Commission proposals are fleshed out, and its ministers are invited to some EU gatherings when it is relevant for both sides, on energy for instance. But they have no vote. 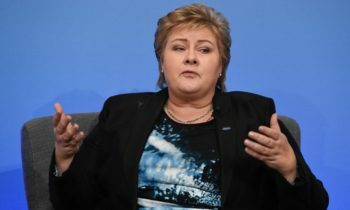 Solberg, who is 55 and has been prime minister since 2013, said this arrangement forces Norway to act like “a lobby organization” in Brussels. “Sometimes we are good at it, sometimes we are not,” she said. Norway’s membership in the European Economic Area does not cover agriculture, fishing, trade, customs, justice and home affairs, but it is part of Europe’s Schengen passport-free travel zone. 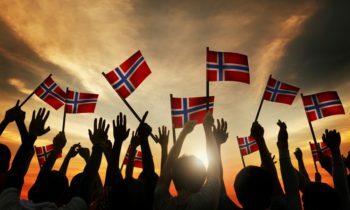 Its participation in the single market means Norway implements about three-quarters of all EU laws.